Monteverde is a cloud forest, home to the world’s most complex ecosystems. My friend and I did a full day with Mardigi Tours. First we visited the hummingbirds gardens. They had set up hummingbirds feeders, and 14 species of the tiny, lively colored birds zipped around. They were all colors and sizes, including the largest hummingbird species on earth. Be careful if you're allergic to bees, they like the sweet hummingbird feeders too. Next we took a nature walk across hanging bridges high above the tree line, where you can look down hundreds of feet onto waterfalls and the forestry below. Our tour including the longest cable in Costa Rica at 1km (over half a mile). This is what I was most excited about, the grand finale! I lived in Costa Rica in 2005 and heard about this line from countless people who loved it, but I never made it out that year. Finally 10 years later I was going to experience it! Along the course we rode some of the lines tandem, some upside down. 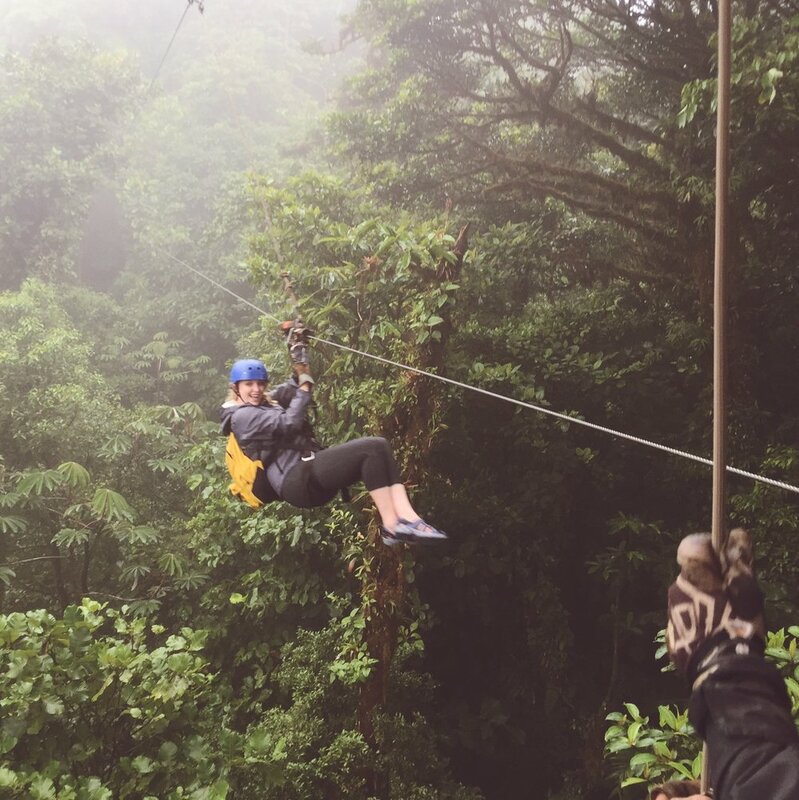 When we rode the half mile line, we attached ourselves superman style over the rain forest, kind of like a flying squirrel. You are going so fast over the forest, it's exhilarating! For the adventurous spirits out there, I highly recommend this day trip by Mardigi Tours. Petra is an amazing UNESCO site in Jordan that was built in the 4th century BC. It's Jordan's most visited tourist attraction for good reason, it's absolutely stunning!